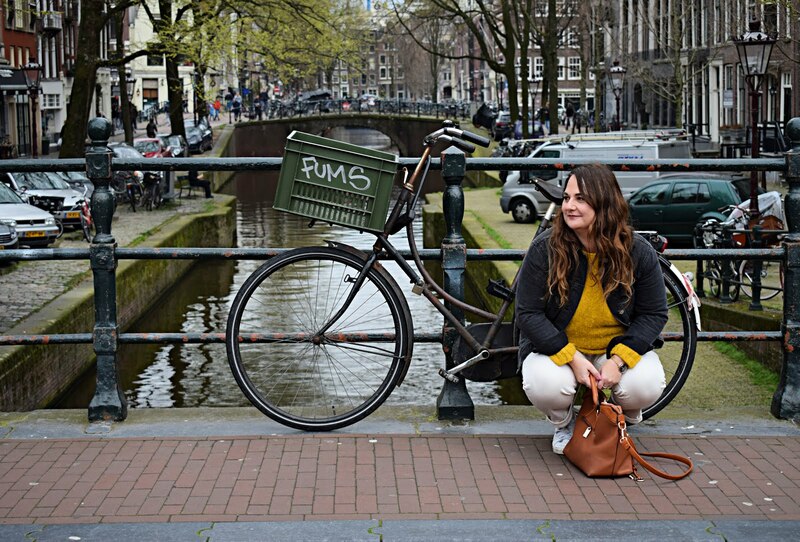 Degustabox is a monthly subscription box, but not for beauty for FOOD, yeah you read that right for a know commitment monthly fee of £12.99 you get 10 - 15 food and drink surprises sent to your home for you to enjoy, many of the items are new to the market, so you'll be among'st the first to try them. 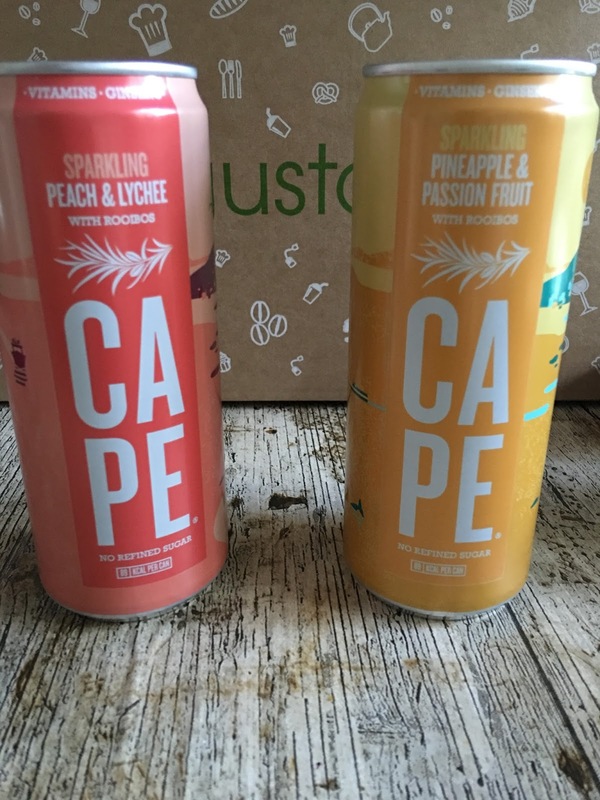 I always love getting drinks in my Degustabox and this month didn't disappoint, Cape drinks are a sparkling blend of anti-oxident Rooibos tea and fruit juices with added vitamins so not only do they taste delicious they are good for you to. 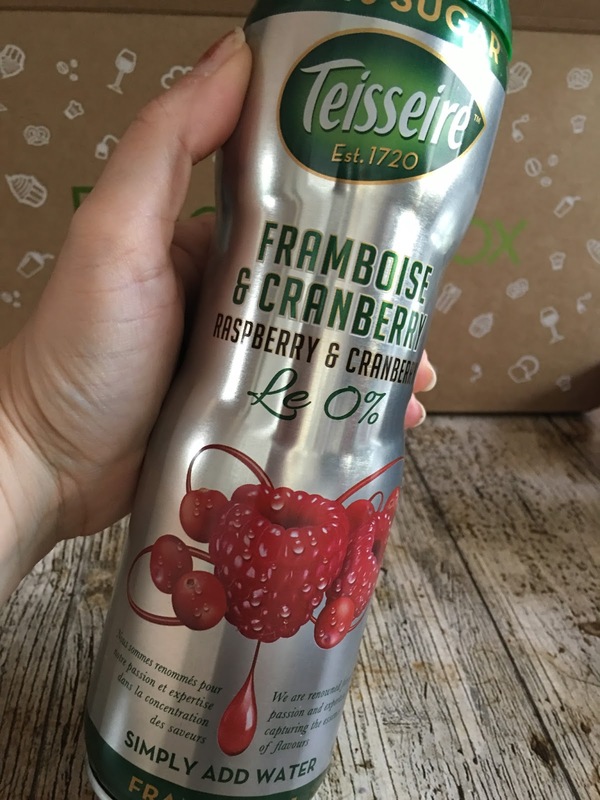 Also on the drinks front is the Teisseire sirop which you had to still or sparkling water to give a fruity fresh flavour a bit like grown up cordial really, and great to help us all drink a bit more water. 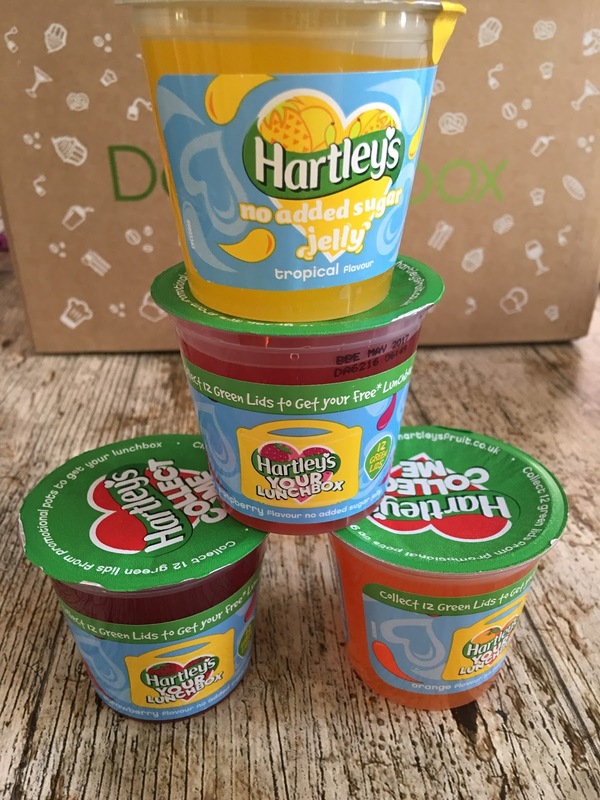 Next up a no added sugar snack great for yours or the kids lunchboxes Hartleys no added sugar jelly pots. There are even more snacks to come from this months box and that's fine by me cause I am a snacker. 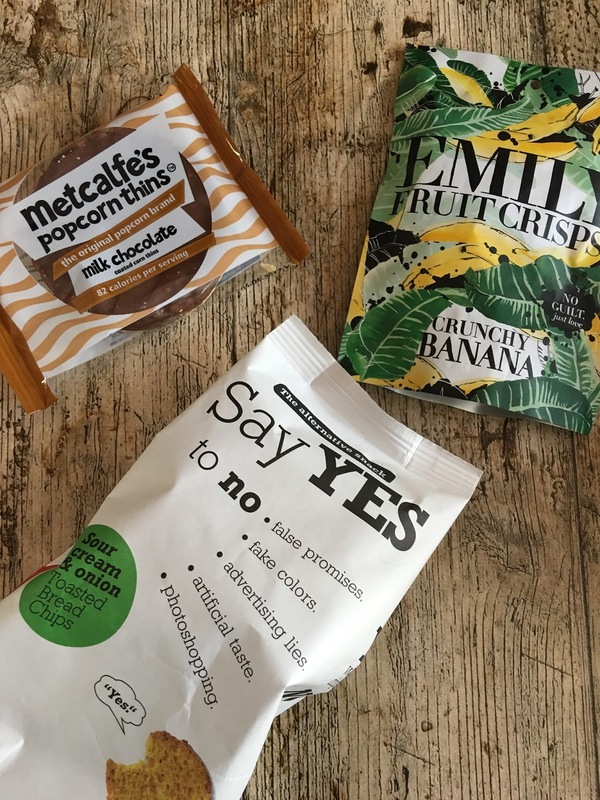 Say yes to no bread chips are the perfect snack for a grazer like me and I soon polished these yummy crackers off and they have no added nasties just natural stuff so I didn't feel to bad about it. Metcalfe popcorn thins are 2 individually wrapped thins covered in chocolate perfect with a cuppa mid afternoon. I love the Metcalfe brand there snacks are always so good. Emily crisps crunchy banana are crisps made with real bananas these where delicious a real sweet treat. 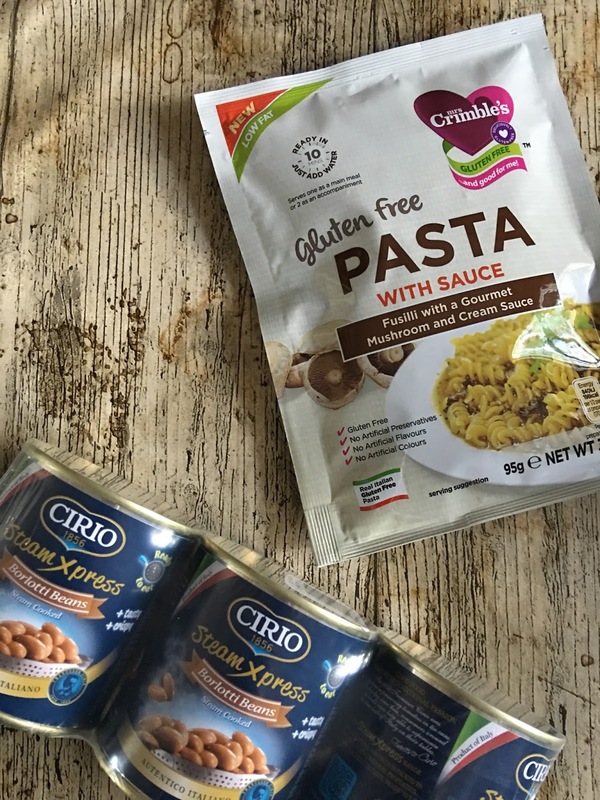 Mrs Crimble's Fuslilli is a Gluten free pasta snack or meal accompaniment with mushrooms in a cream sauce, I must admit this was the only item we weren't to keen on I made it for me and my son and it just wasn't are thing. Last up Cirio Borlotti beans 3 pack. I'm looking forward to trying these fibre and vitamin rich beans, I think they would be a healthy way to bulk out casseroles and pasta sauces. 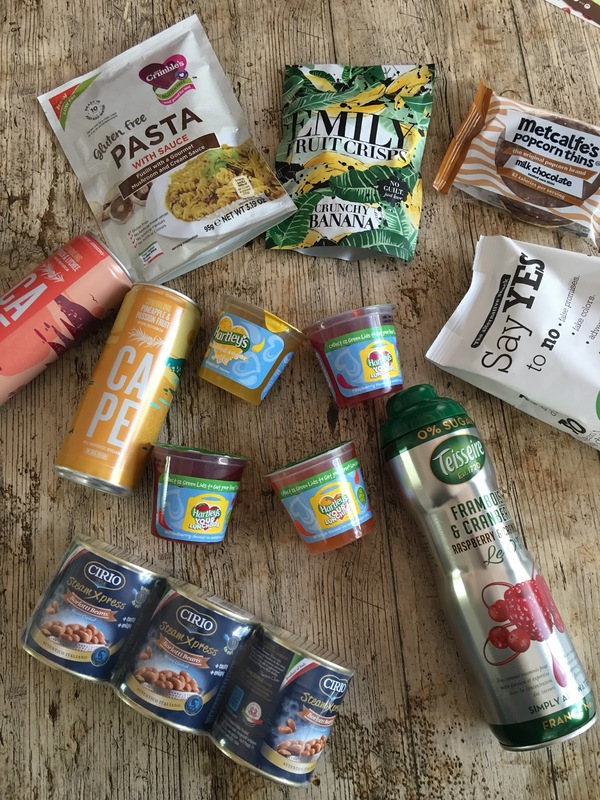 This months box was full of yummy healthy foods, and If you fancy getting your hands on a Degustabox I have a little code the will get you a whopping £7 off your first box.